BOYNE’s Great Escape All Inclusive Golf Vacation packages offer more flexibility, more golf courses, and more amenities than ever before. This golf vacation package offers countless ways to customize your package at no additional charge. Choose from golf instruction, merchandise packages, spa treatments, golf equipment, additional dining options, or play 18 holes on the luxurious Bay Harbor Golf Club. It is your choice and it is all included. The Great Escape all inclusive Golf Vacation is BOYNE’s signature Michigan golf package and is undeniably among America’s greatest golf values. It is the absolute best way to experience all that BOYNE has to offer. This is truly a golf week like no other. With so many activities included in this all inclusive package, your only problem will be how to fit it all in! 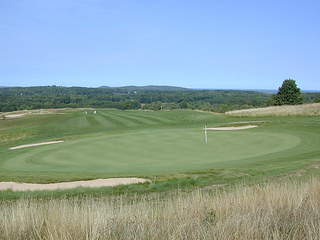 BOYNE’s all inclusive golf vacations are unlike any other resort in Michigan. With unlimited golf and a full range of golfing options, you can explore eight of Michigan’s finest golf courses at no extra cost. Book your Great Escape Golf Vacation now!